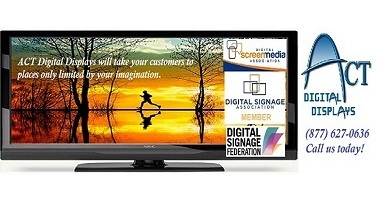 BrightSign Digital Displays from ACT Digital Displays - Solid State Digital Signage Media Players. 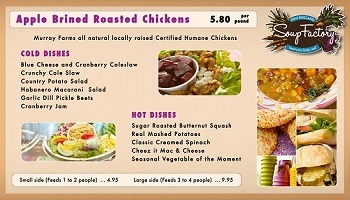 ACT Digital Displays offers the complete line of BrightSign. There is a Model for Every Budget! Unsure of what you need? Want someone to point you in the right direction? Simply fill out our EASY QUOTE FORM and we will get you a full 'No Obiligation' Quote Quickly by email. ACT Digital Displays and ACT-POS Point of Sale will be on hand in Booth #3638 showcasing our extensive line of both leading Digital Signage and Point-of-Sale offerings for 2013. 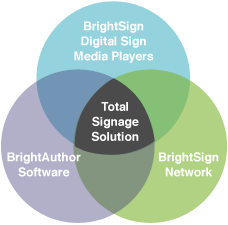 BrightSign is the complete solution that goes beyond standard digital signage, offering high performance solid-state devices, powerful feature-rich software and networking options for turnkey content management and delivery. Only BrightSign provides the power, performance and capabilities of PC signage solutions with none of the glitches and down-time. BrightSign’s solid-state platform and BrightAuthor software assures 100% reliability while delivering all of the capabilities you need. BrightSign’s new LS series players are ideal for customers who require the affordability of a low-cost solution, but who desire a purpose-built device with greater reliability, flexibility and performance. Refined from three models down to two, and updated with a new feature set that establishes a new standard for PC-class performance at affordable price points, BrightSign HD now supports HTML5 and 1080p60 content. All three of BrightSign’s XD models have been updated with an even faster graphics and HTML5 engine, Power over Ethernet (PoE), and the added convenience of remote viewing capabilities. The three BrightSign 4K models remain the most sought-after solutions for systems integrators who are building installations that showcase the latest technological advances up to and including 4K playback. BrightSign XD models feature an advanced video engine with superior scaling technology that delivers pristine 1080p60 video, and un-compromized decoding capable of playing dual Full HD videos or several lower resolution videos simultaneously, as well as 3D content. BrightSign XD brings Live TV to your signage with an ATSC/Clear QAM tuner that plays cable TV or closed circuit TV broadcasts, and an HDMI Input that plays any broadcast content – even protected HDCP content. Now web designers can easily build engaging content to run on BrightSign XD using familiar development tools they know well. 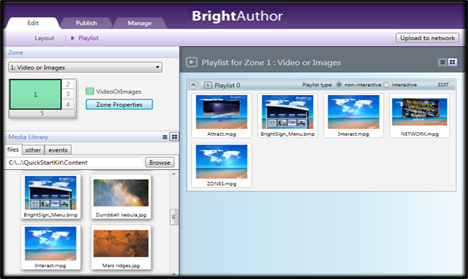 BrightSign XD will add the popular ‘swipe’ interactivity to BrightSign's usual touch screen support; and only BrightSign includes free BrightAuthor software for easy creation of interactive playlists and touch areas. Playback multiple content types on a single screen using zones and play video and audio playlists independently from a single player. Synchronized playback between multiple video displays including non-standard display shapes and mixed screen orientations can be coordinated with lighting systems and music to create immersive experiences. Trigger playback from virtually any type of interactive device: barcode scanners, motion sensors, RFID, GPIO, USB button controls, touch screens, IR remote controls, serial devices, keyboards, mice and more! 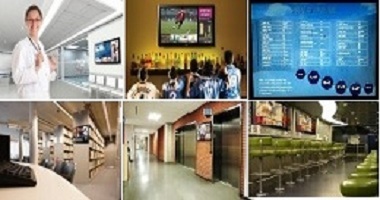 Interact with signage via mobile devices, deliver emergency messaging, integrate with databases, show controllers, etc. It’s easy using BrightSign’s wireless or Ethernet connectivity and BrightAuthor. Live RSS, Twitter and Flickr feeds can be displayed to link your signage to literally any RSS data feed available. Live Text fields can be integrated anywhere in your presentation to instantly update content without republishing the entire presentation. Perfect for menu board pricing, waitlists, transportation schedules and more. Play content targeted to the location of your moving digital signage! Simply install a GPS dongle in BrightSign's USB port, identify geo-coordinates using Google maps, assign interactive playlists to the geo-fenced areas as trigger events, and go! Connect to streaming media sources including IP cameras to play Full HD video and audio in full screen or zoned layouts. BrightSign’s multiple networking options make it easy to update content, playback live content, monitor and manage your digital signs remotely. 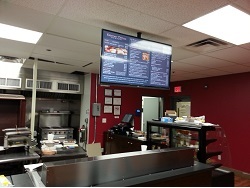 Click HERE for a Digital Signage QUOTE! We will walk you through the quetions with our easy form! Concerned about the Price? It's less than you think. Follow us on Twitter or become our Facebook friend. Join our dedicated group on Linkedin. Stop by our and check out our boards on Pinterest. Check out our wide selection of Product and Information Videos on Our YOUTUBE Channel. Visit The POS Store for a quick purchase For more information on Point of Sale, visit ACT-POS Home Page and learn how Point of Sale can improve your business operations. We want to hear from you. Please use any means - Direct, Social or Email to let us know what's on your mind. Copyright 2015 ACT Digital Displays, ACT-POS Point of Sale &.Assured Computing Technologies, Inc. All Rights Reserved. All Content is Protected. Digital Displays will save you money. LCD Menu Boards, LCD Message Boards, LCD Group Meeting, LCD Conference Room Boards.